A compelling history of Blitzkrieg: the ‘lightning war’ by which Hitler and his generals overwhelmed the Allied armies in Western Europe. ‘Blitzkrieg’ begins with a chilling portrait of Hitler’s rise to power in pre-war Germany, setting the stage for the outbreak of the Second World War and his conquests of Poland and Norway. 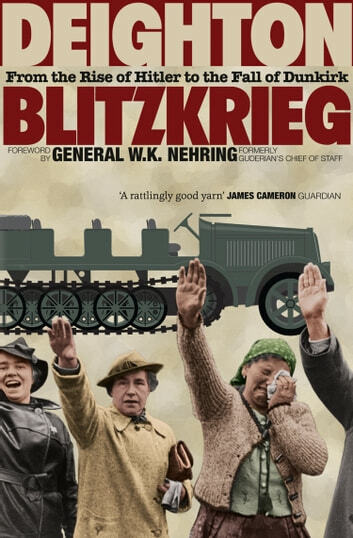 This riveting history sets out clearly the tactical thinking behind Blitzkrieg and focuses an expert’s eye on the materiel – pre-eminently the Panzer tank – that made it possible. Concluding with a compelling account of the campaigns that drove the German armies through the Low Countries and into France, Deighton reveals the Führer’s ‘fatal flaw’, which made possible the evacuation of Allied forces from Dunkirk. 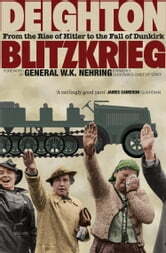 ‘Blitzkrieg’ is the story of Hitler’s triumph and Europe’s darkest hour. Few writers have understood it as well as Deighton – an ex-RAF pilot – and perhaps none has been able to describe it so tellingly.